made into individual servings making this decision easier. The ease of serving the cupcakes rather than cutting a cake also makes serving easier and faster. If you have a cocktail party or picnic for your wedding reception, cupcakes allow your guests to walk and mingle while enjoying their tasty treat. A large layered cake is difficult to move, or it takes considerable time to erect at the wedding reception if delivered in separate layers. Cupcakes are easier to transport to your venue. They can be packed in boxes so they do not slide or get damaged. Maybe you have struggled to decide on a cake flavour? With cupcakes you can have multiple flavours on your cupcake tower. Do you have guests with dietary needs? Individual cupcakes can be made to cater for their needs also. The individual beautifully designed cakes are a marvel of beauty. Your guests will love having an individual beautifully decorated cupcake to eat. Having all of these marvelous decorated cupcakes together on a cupcake tower truely looks amazing. We sell many cupcake wrappers to help finish off your cupcake display. 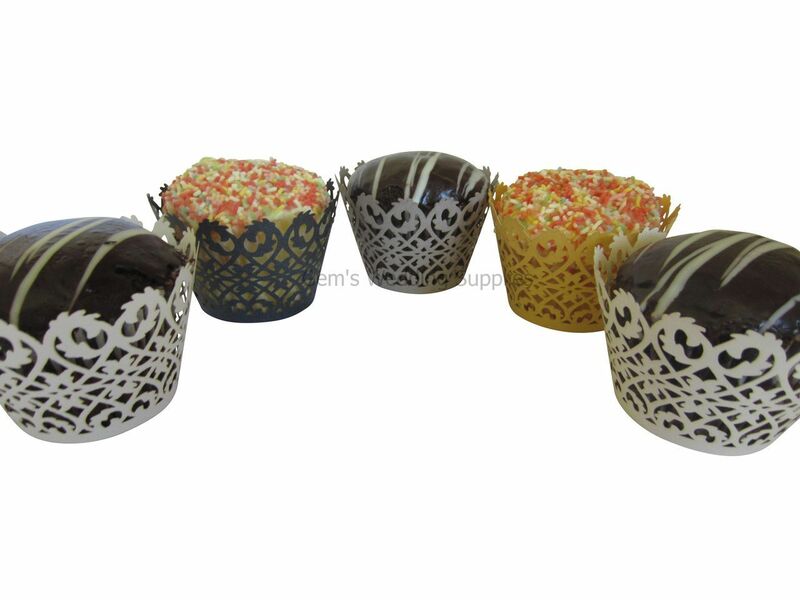 We also stock cupcake boxes which allow guests to take their cakes home as a delicious bomboniere. Are you having cupcakes at your wedding?